It was a nice pleasure to have car rental services as provided by you. The journey was very comfortable with clean taxi & humble nature of driver. 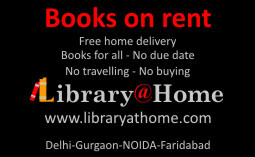 We would definitely take services in future whenever required. We were pleased by your service. Neeraj, the driver was very nice too. Your Services are good & driver's driving & behaviour is also good. I'll again contact you guys for my next trip. Thanks a lot for your service. I've been meaning to call you and thank you for organizing the trip but haven't got the time ever since i got back from Nainital due to grueling work hours. The trip went of smoothly as you had assured me in advance. I was very happy with Mahender the driver you had assigned to us for the trip. He was a very capable driver and I would be happy to go with him again if i have to visit Uttrakhand anytime in the future. The staff at Hotel Anamika were fabulous hosts and helped me out whenever i asked them anything from a extra blanket to the timings of the ropeway to Snow point. The paranthas in the breakfast menu were fabulous and i complemented the chef personally when i was to leave the hotel. The rooms you had booked us were very spacious indeed and had all the basic amenities one requires. Though one minor problem was the bathrooms which required a little cleanliness and had a lot of seepage which house keeping informed us was due to the rainy season and a lack of sun causing dampness. Otherwise since we were a bunch of friends, the minor issues did not bother us much, but do inform the hotel that there rooms should be up to the standard of their superb staff. Everything else went of smoothly thanks to Mahender showing us around Nainital and its surrounding. Thank you for the arrangements and making it simple for us to just enjoy the much needed vacation. 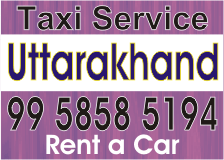 "Great service" for Uttarakhand Tour. 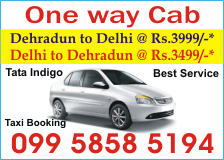 Cab renting provides an excellent services for long tours. On time reporting, nice behaviour of drivers and excellent vehicle condition really adds up fun to the journey. i would like to travel again with Cab Renting. I am heartly thankful to 'Go-nex Adventure Team' for making our trip so exciting & wonderful. The service provided by Go-nex are awesome. In future we want to share our all trip with Go-nex. As we all know very well Rishikesh is the best place to visit but it was 100% fun we have with our Group. Thanks a lot to Go-nex team for Making our stay pleasurable one & we enjoyed River Rafting, Cliff Jumping, Swimming, Jungle Camping. Thanks for best arrangement for staying at jungle Camp. All I can say that it was wonderful time I have there. Again thanks to Go-nex team for such a nice Trip. Thank you once again for your very good service at reasonable rate. This was second trip and this journey/ trip to Agra was very comfortable. The driver Mr. Anirudh was well mannered and behaved and also the car condition was very nice.I look forward to use your service again. Keep it up. All the best.